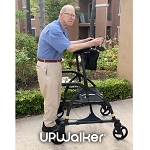 The Essential Medical Leg Support Walker provides a great alternative for users with foot or ankle injuries who are unable to use crutches. 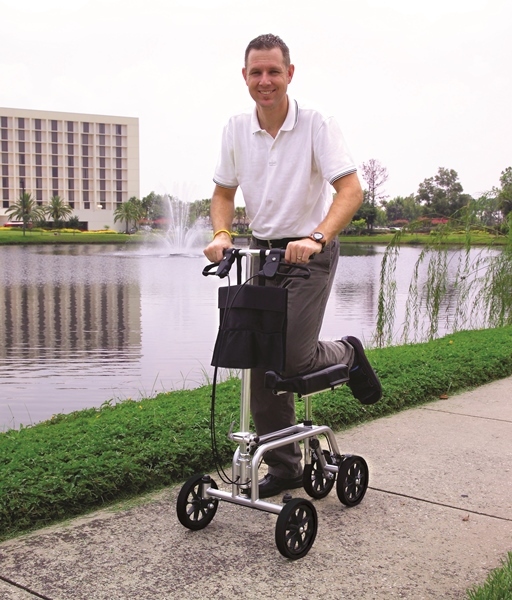 This walking aid is designed to assist users recovering from injuries and surgical procedures to the lower limb, especially the foot and ankle. 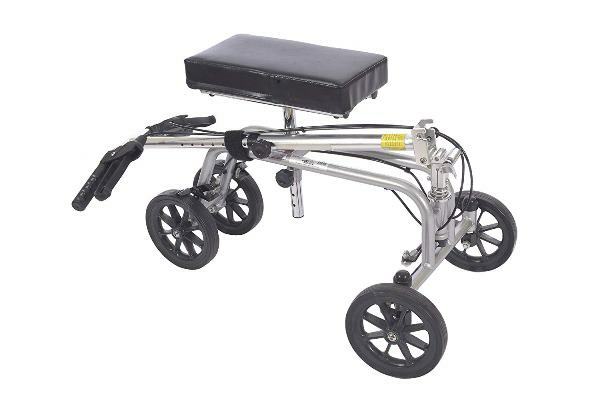 The Essential Medical Leg Support Walker steerable knee walker features a wide front axle that has an over 30% turning radius, centered rear wheels and easy-to-use loop hand brakes. 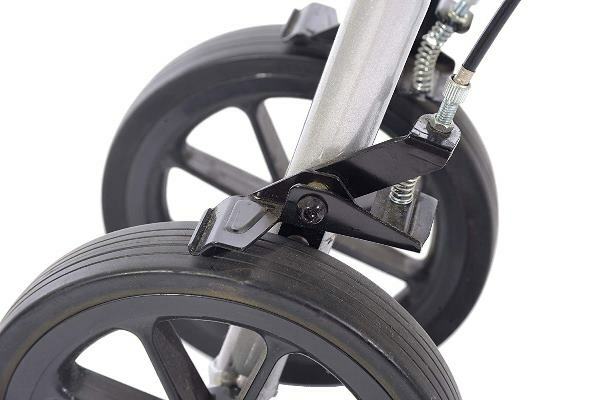 The hand braking system provides added control, and the wide, flat free tires provide additional stability. 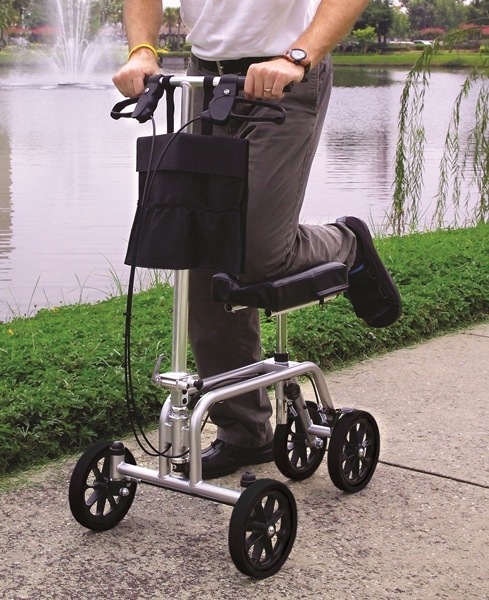 The tiller and the knee pad adjust to accommodate different user heights. 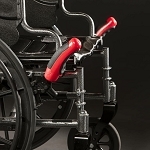 The ergonomic design ensures a comfortable operation. 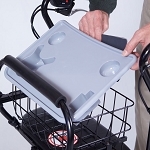 The frame folds for easy storage and transportation. 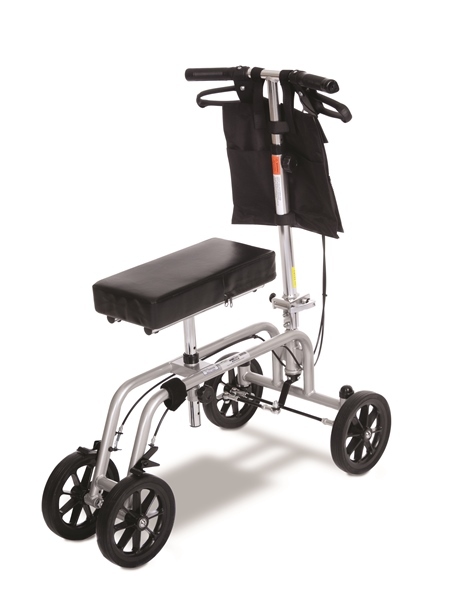 The Essential Medical Leg Support Walker is a highly maneuverable and stable knee walker with loop hand brakes. 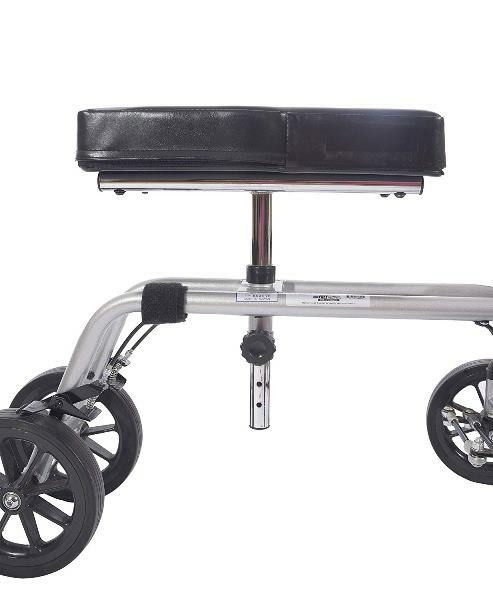 Overall Width: 17.25 inches at front, 8.25 inches at rear. 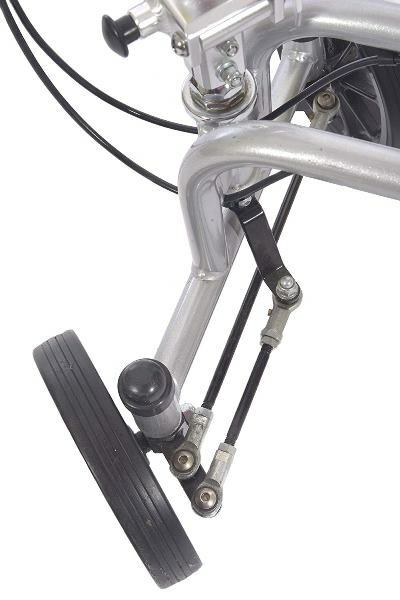 Handle Bar Height Adjustment: 34 to 42 inches. 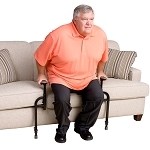 Knee Rest Height Adjustment: 17.75 to 23.75 inches. 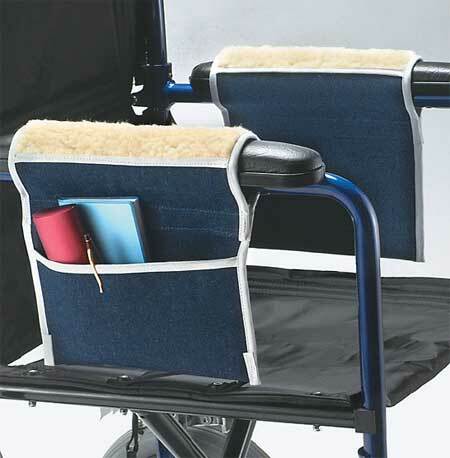 Knee Pad dimensions: 14.5 inches long, 7.25 inches wide, 2.5 inches high. Frame Height From Floor: 12 inches. 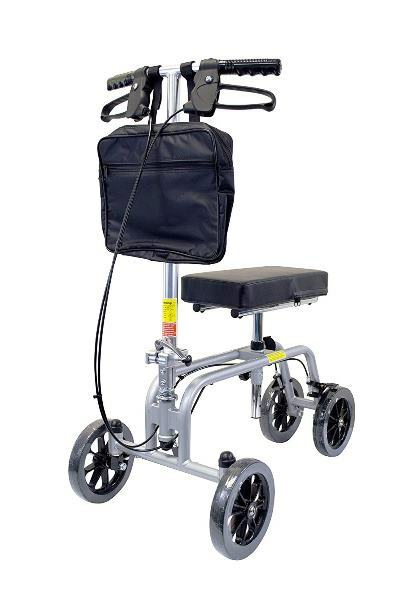 Includes: Knee walker, vinyl pouch to store personal belongings, user manual. 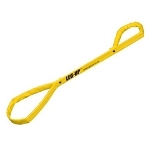 Q: Could this be used for a non weight bearing mobility for a stress fracture of femoral neck? 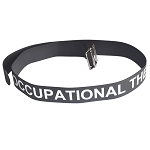 A: That may need to be discussed with your treating physician.